The true story behind the upcoming thriller War Dogs is an uncommonly fascinating one, first told in full in a Rolling Stone article in 2011: a pair of young American stoner layabouts, David Packouz and Efraim Diveroli, despite a lack of qualifications, somehow talked their way into a contract with the Pentagon to supply arms to U.S.-allied rebels in Iraq and Afghanistan - to the tune of $300 million. It was a wild real-life caper that eventually left the two men in way over their head - both with foreign fighters and with law enforcement back home. The story seems a natural fit for a movie adaptation, and now it’s going to be one, starring Miles Teller and Jonah Hill as Packouz and Diveroli, Bradley Cooper in a supporting role - and with Todd Phillips (Old School and the Hangover trilogy) directing. One trailer debuted back in March, and now there’s a new one, ahead of the film’s release in August. The new War Dogs trailer (see above), establishes a tone that combines action and suspense with comedy. It lays out the premise: Teller, in his early 20s, was a massage therapist in Miami Beach recruited by a junior high buddy (Hill), into a considerably more lucrative (and dangerous) line of work: international arms smuggling. We see the men in Iraq, running from rebels with guns, as well as Teller explaining the situation to his girlfriend, who thought he sold mattresses. And Hill explains that their job is “do business with the people the U.S. government can’t do business with directly.” It’s a story connected to the Iraq and Afghanistan Wars, but the tagline - “Welcome to the American Dream”- indicates that War Dogs will also be a film that shoehorns a true story into more universal notions about America itself, in the tradition of such recent movies as Michael Bay’s Pain and Gain. 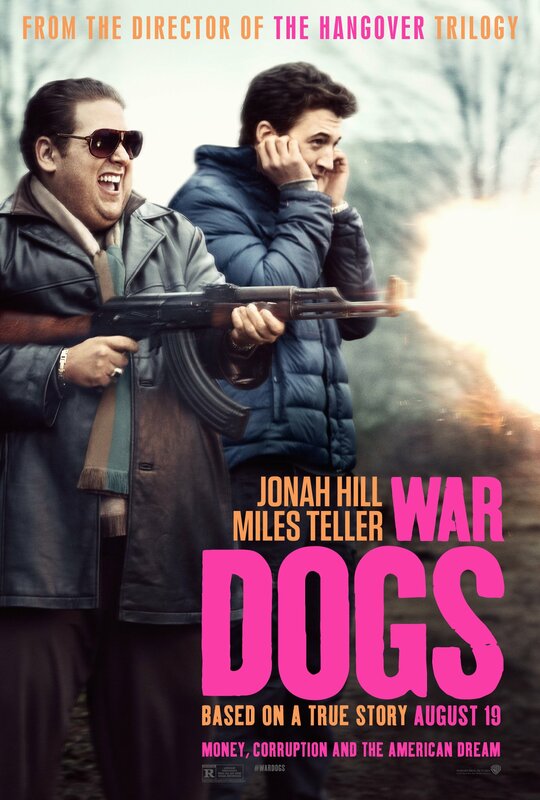 All things considered, War Dogs looks quite promising. It’s an amazing true story that’s obviously cinematic. Hill looks to be playing a shameless degenerate who luxuriates in excessive vulgarity, which is reminiscent of the best role of his career, in The Wolf of Wall Street. And if it can successfully manage the differing tones, War Dogs could really be something special. Reasons for skepticism? There have been way more bad movies about the Iraq War than good ones, and Todd Phillips’ track record as director is pretty uneven. Great as this story is, not many people know about it going in. And the whole “this movie is a microcosm of America” idea has been explored already in a number of recent films (see: American Hustle and Foxcatcher, for example) that may have been better off just telling the straightforward story.